"I fell in love with the main characters and descriptions of the scenes were very vivid. . . . This is my first book by Stacy Henrie, I will definitely have to read more of her books. I really enjoyed this book." "I always love how Stacy Henrie's books transport me to the setting with rich historical details. The characters really came to life against the backdrop the author set and while it's a relatively quick read, that's partly because I couldn't put it down! . . . Loved the sweet romance and fascinating history!" 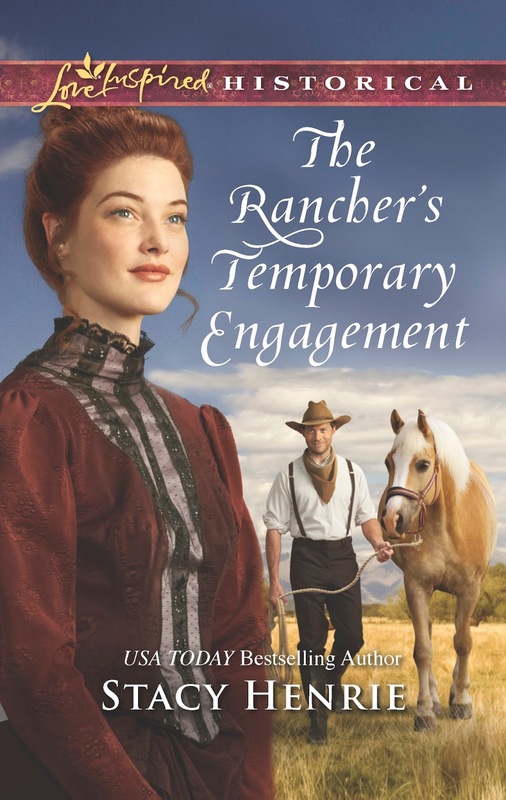 "The Rancher’s Temporary Engagement is a fabulous historical that should not be missed. I had it read in just a few hours and it was time well spent. I highly recommend this for those who love a good, sweet, clean, heartwarming book that, also, has a touch of mystery and suspense. A well deserved 5 plus stars." "Stacy Henrie brings something intangible to every story that she writes; she just has a special touch that’s hard to define. All the details that I love are present in The Rancher’s Temporary Engagement – character depth, historical detail, humor, romantic tension. And then there’s the emotional tug that comes from characters who don’t seem fictional at all, but easily identifiable people who face similar struggles as we might, only in a different setting. While I’ve enjoyed all that I’ve read by this author, this book holds a special place in my heart." Unpinning her hat, Maggy used it to fan her flushed face. She shut her eyes and willed herself to breathe through the pressure in her chest. She was safe—no one was going to harm her ever again. Especially not a man. Detective skills weren’t the only things she’d learned in the last six years; she’d also learned how to take care of herself. "I was surprised by the depth and sincerity of Henrie's writing. In such a light genre, many inspirational authors shy away from the grittier aspects of the time period. Henrie handles both the bad and ugly with honesty and a deeper message of hope. As Maddy slowly watches the way Edward weaves his faith through his daily life, Henrie also urges us to "see His hand in everything." The impact of Edward's faith in God and in Maddy, as she unravels the mystery is more than empowering, it's a reminder of the true meaning of redeeming love." "The romance is sweet and tender and very believable and the setting is hot, dusty, and perfect for the times. I couldn't put it down and was swept away for a time, which was completely fine with me. If you love historical mystery romances, dime novels, and mysteries, this one is for you." "I couldn’t put the book down, the story kept me on my toes….just when I thought I knew what was going on things changed slightly and I started second guessing my thoughts. It really is a great story I highly recommend you read it!" Q: What was your first impression of Edward? A: Ha! Stubborn and reserved, for sure. But also handsome and kind to his staff. 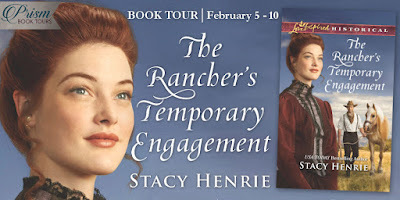 "Peppered with humor and gentle truth, The Rancher’s Temporary Engagement is a great read from start to finish! Henrie’s sense of timing shines, as well as her ability to create dimensional characters who quickly feel like dear friends. The friendship-turned-romance is swoony and sweet, and the suspense gives the plot purpose without overpowering it. Stacy Henrie’s novels are always wonderfully enjoyable, and this one is no exception!" “Are you always this obstinate, Mr. Kent?” Maggy asked, jerking his thoughts back to the unpleasant scene unfolding on his porch. "I loved this book! It’s a quick, captivating read and I loved the writing style of Ms. Henrie. She has a beautiful way of pulling the reader into the heart of the story instantly and making them feel apart of the whirlwind of fun. I loved Edward and Maggy’s characters. They were perfectly chiseled and true-to-life." Turning toward him, Maggy only had a moment to register the shock in Edward’s gray eyes before his mouthful of tea came spewing out—all over her. With memorable characters and plenty of culprits, this book is a suspenseful, yet delightful, read." "I’m always so glad to find new authors I like. Stacy Henrie is now on my “buy as soon as it is released list”. The Rancher’s Temporary Engagement was a great story with mystery, romance, and life lessons about the love of God." "The Rancher's Temporary Engagement was just like its predecessors, a truly fun read with delightfully generous amounts of romance and danger. And the overarching theme that each person is of value is an important reminder to every person who has ever doubted their own worth...which is probably every single one of us." Stepping in front of him, she gripped his face between her palms. The heat of the fire baked her back, but she wouldn’t give up on Edward, not without a fight. And a fight could well be the result of what she was about to do. She tipped his head toward her. Then, ignoring the steely quality in his gray eyes, she pressed her lips firmly to his. His jaw stiffened briefly beneath her hands, but Maggy didn’t let it deter her. She poured all the fears and joys she’d experienced over the last month into her kiss. "I really enjoyed this story! I loved the characters, the story line, the dialogue, Stacy's writing style. It was all done beautifully." I think this book sounds really intriguing! I like the combination of a woman detective and an English gent out in Wyoming - what an interesting mix! I think so too, I love a good historical romance with a strong female lead. Latoya has read 0 books toward her goal of 100 books. 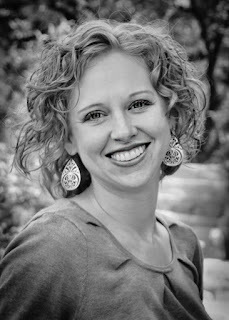 My name is Latoya, I am a Librarian and photographer(though I haven't done much of this lately, I'm a litte rusty). So, feel free to chat with me, I don't bite..I promise! Statements and opinions expressed in reviews, discussions, and posts on this blog are those of Little Library Muse unless otherwise stated. Authors, Publishers and Tour guides may send an ARC or finished copy in exchange for my honest review. All reviews will state the source. Opinions shared by others in comments may not reflect my own views. I reserve the right to moderate comments. Purchases made through buy links help to support this blog and giveaways.